For Circle of Fountains 2014 May Day Ritual, click here! My personal May Day altar is coming soon! 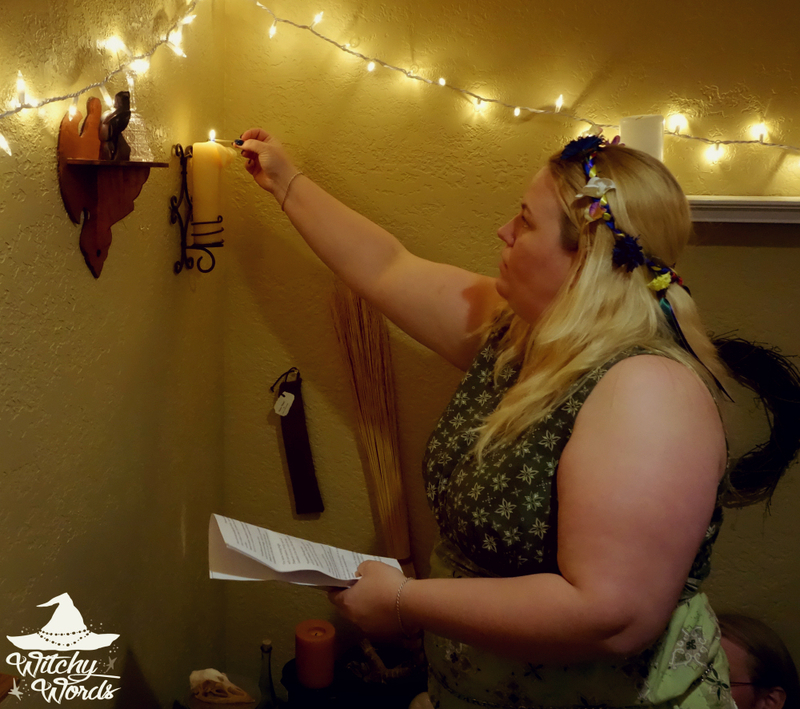 This year's May Day ritual was written by Phaedra! 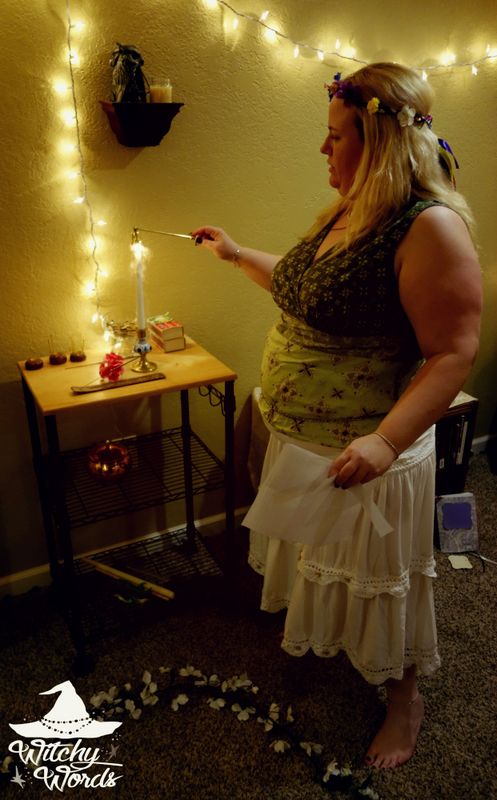 Our ritual was held the Sunday before Beltane, but the weather was surprisingly uncooperative as it was fairly chilly that day. 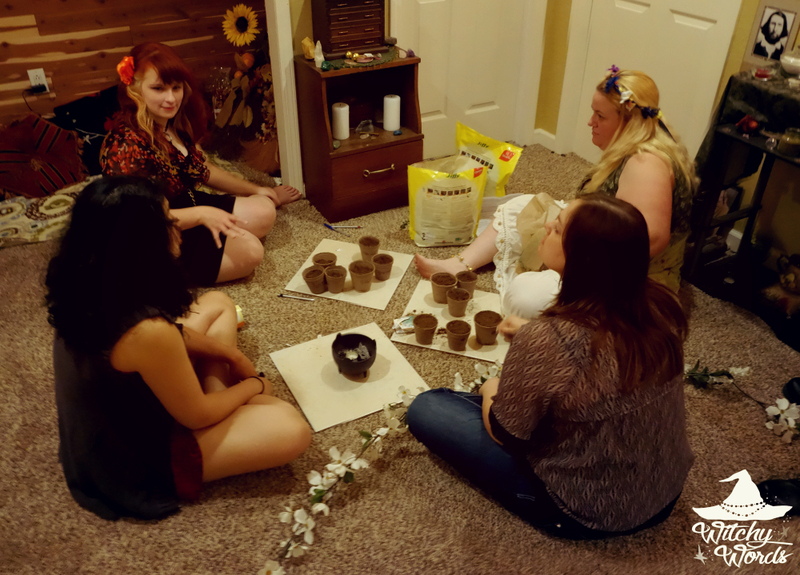 Given the circumstances, we decided to hold our ritual indoors, which worked out better for everyone. The attendance was fairly low because many of our circle members had other responsibilities to tend to. Even I barely made it home from work on time; I drew caricatures for an after prom in Iowa until 3:30 am Sunday morning and stayed in a hotel so I could drive home the next day. Fortunately, Phaedra and her husband were positively amazing: They showed up nearly four hours early and cleaned both my house and my circle room so that I didn't have to worry about it! It was a huge weight off of my shoulders given how hectic my month has been, and I cannot thank them enough. May Day is the sabbat opposite Samhain, and thus is considered also especially connected to the spirit world and the thinning of the veil. 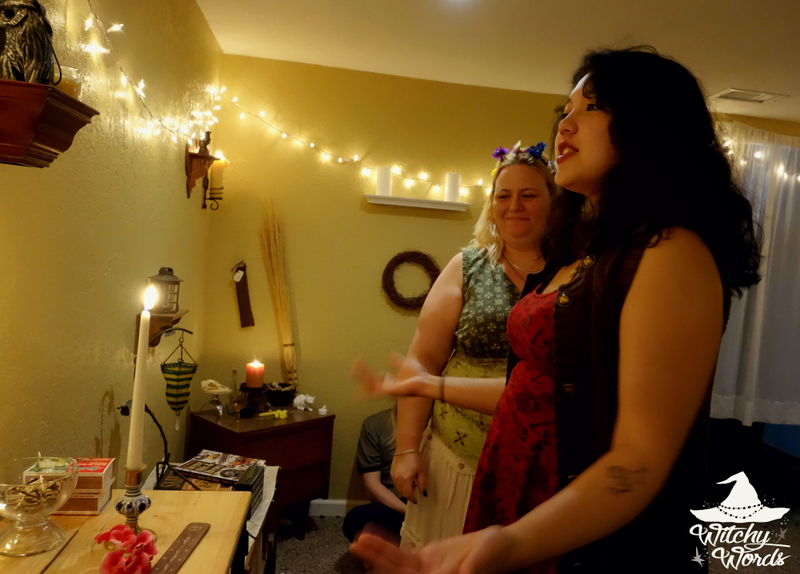 However, unlike Samhain, Beltane celebrates, fertility, the act of creating new life and the coming together of the masculine and the feminine as one. This holiday is particularly lively and playful, celebrating the survival of the hard months and the certainty that the last frost has passed. We're now officially in the warmer months! May Day is strongly tied with bonfires, which couples would leap over as a display of the strength of their love. 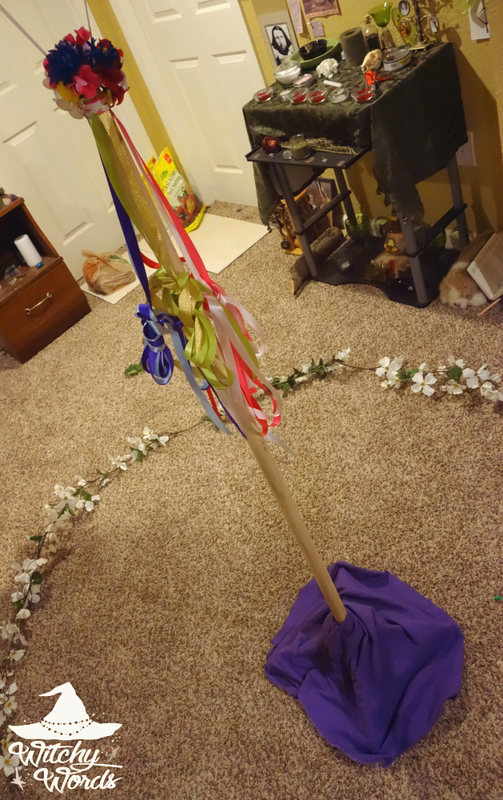 It's also associated with the Maypole, a tall wooden pole with ribbons that people dance around for a variety of reasons, most often of which is for fertility purposes. As we do with all sabbats, we began with a potluck feast. We try to include seasonal and relevant foods that connect with the meaning of each holiday. 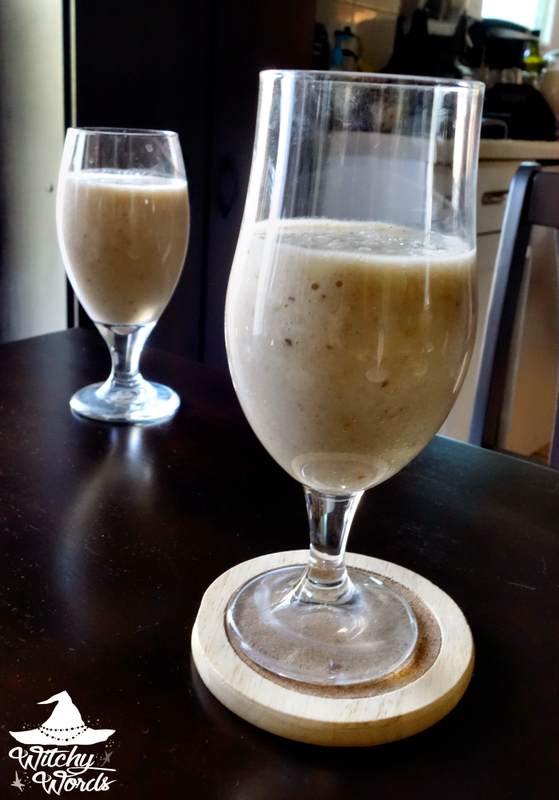 A particularly special treat was Kolika's dairy-free banana and pear smoothie, which we began with before dinner. Since I'm allergic to pears, I unfortunately couldn't partake; Kolika instead made me a special banana and gelato shake to make up for it! 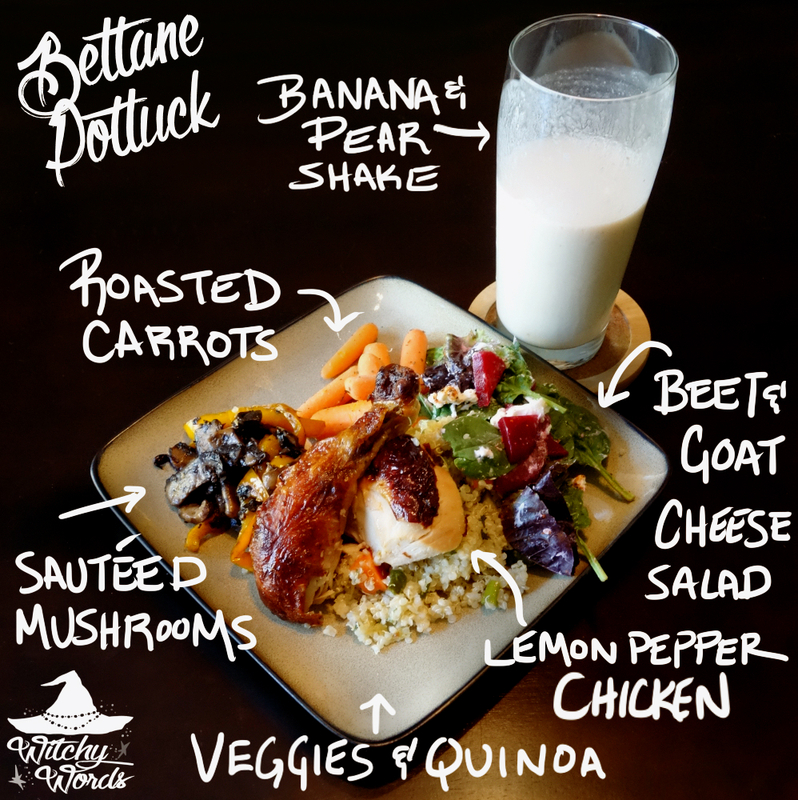 However, if you're interested in learning about how she makes her vegan-friendly smoothies, it's incredibly simple and you can find the base recipe here! 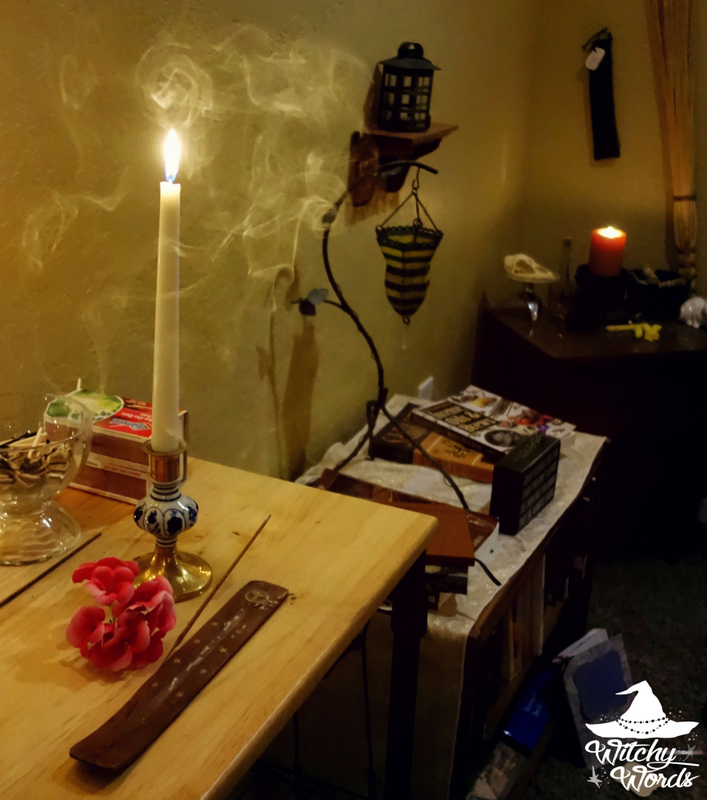 Once we finished dinner, we headed down to my spiritual room for ritual! 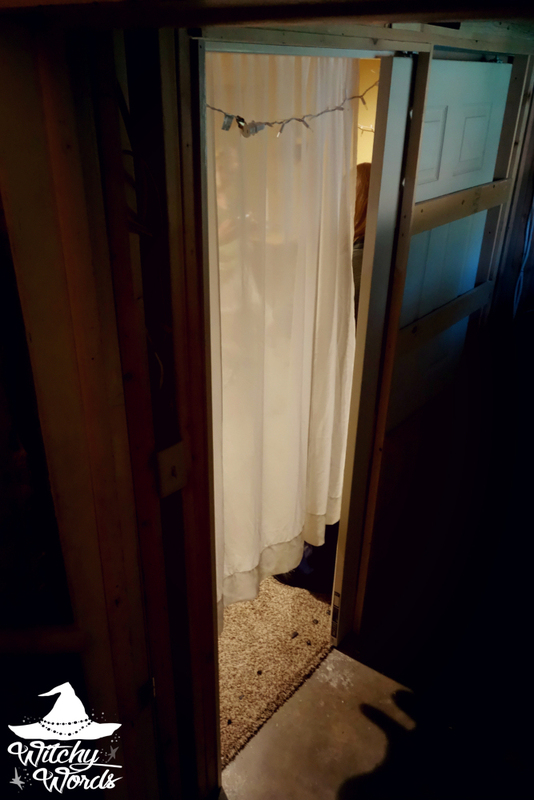 As I did with Samhain, Phaedra covered the door with a short veil to represent the thinning of the veil on Beltane. As we passed through the veil, we entered a world between worlds. We began ritual by calling the quarters one by one, starting with air and working deosil, or clockwise, around the circle. We then allowed each person to step forward and call upon a spirit, ancestor or deity of choice. 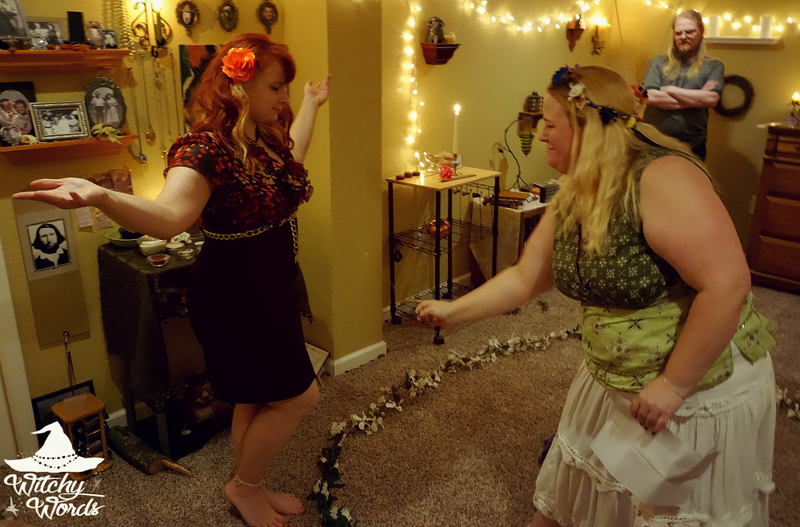 Our rituals are always a mix of serious and fun, and particularly so with Beltane. When it came to my turn, I simply stated, "Non-theist, yay May!" and stepped back in place, which left us in side-splitting laughter. But moments like that are absolutely necessary for how our circle functions. All work and no play makes the ritual a little dull! 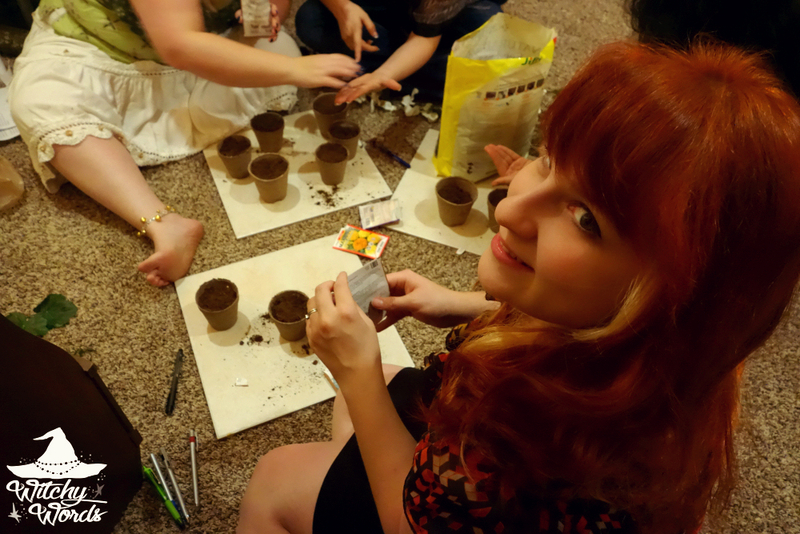 We began ritual by planting seasonal seeds in small pots. Phaedra stated that we should plant not only the seeds but also our hearts and minds in the soil so that we could harvest them throughout the year. The seeds chosen to plant were specifically later-in-the-year seeds that you likely wouldn't plant outside until May anyway. This made these seeds particularly relevant to May Day. 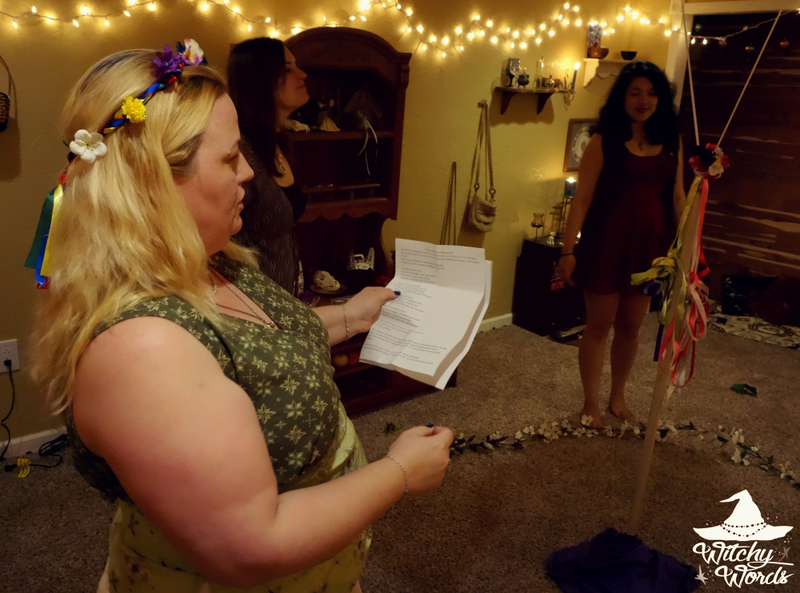 Phaedra then took a moment to explain Beltane fires, stating that couples would leap over it to show their devotion to one another. 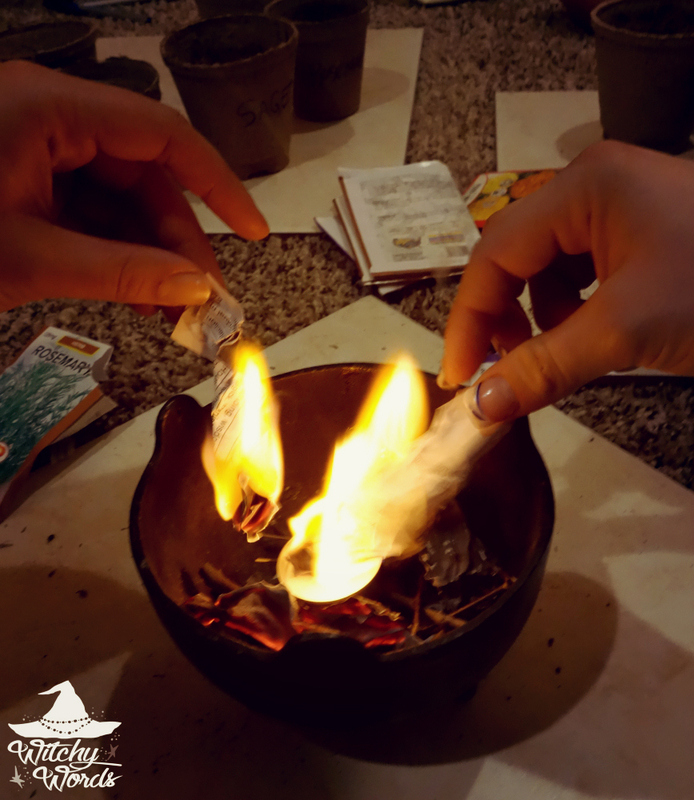 We were then handed slips of paper and asked to write concepts we were devoted to, such as health or spirituality, and burn them in the cauldron as a representation of the Beltane fire! Before continuing any further, Phaedra had us cleanse ourselves with incense. 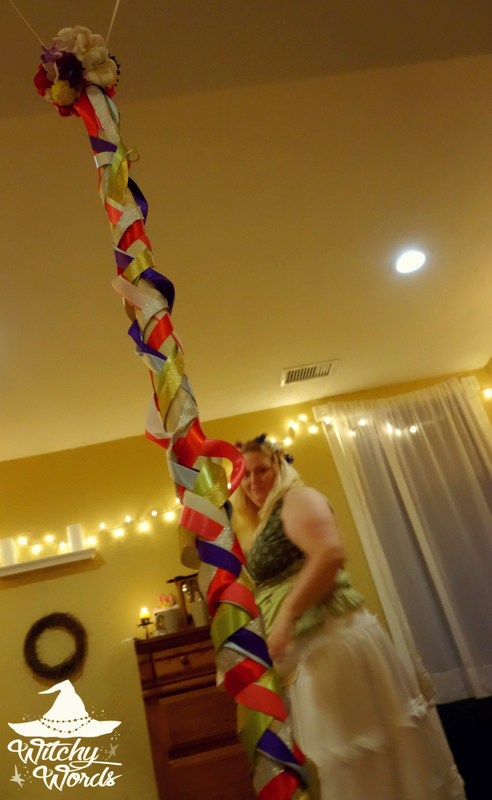 We then turned our attention toward the Maypole in the center of the room! 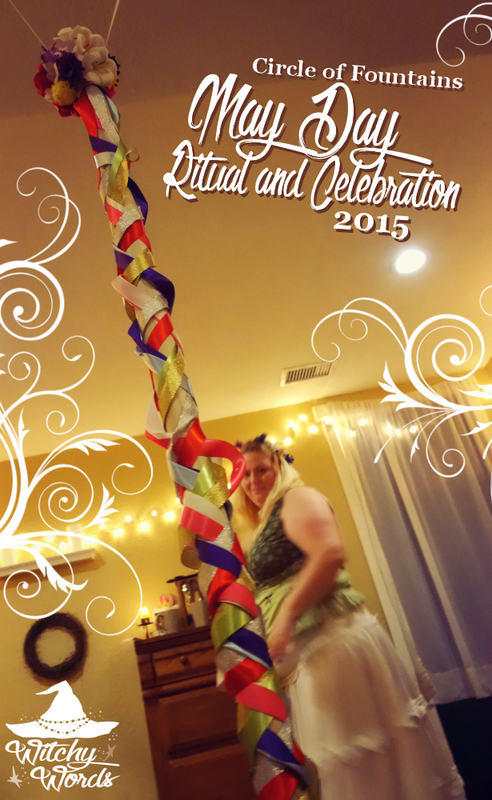 Phaedra took the liberty of creating this impressive portable Maypole for our circle! Each ribbon represented something different depending on its color, such as pink for love and fertility, or red for the fires of Beltane and passion. 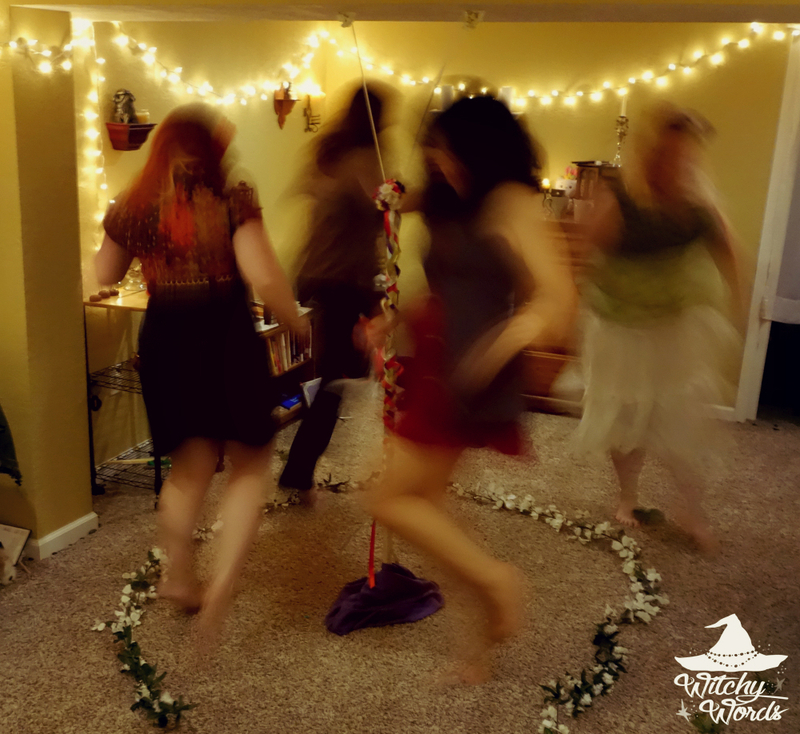 We chose one of my favorite Beltane songs for dancing and proceeded to do the Beltane dance around the Maypole! Each member of the circle knew the general customs of a basic Maypole dance, so we could simply started in! Once the Maypole was complete, we took clippings of ribbons we wanted to keep to help us with the upcoming months, then continued to dance around the Maypole until the music was over! And with that, ritual was concluded! 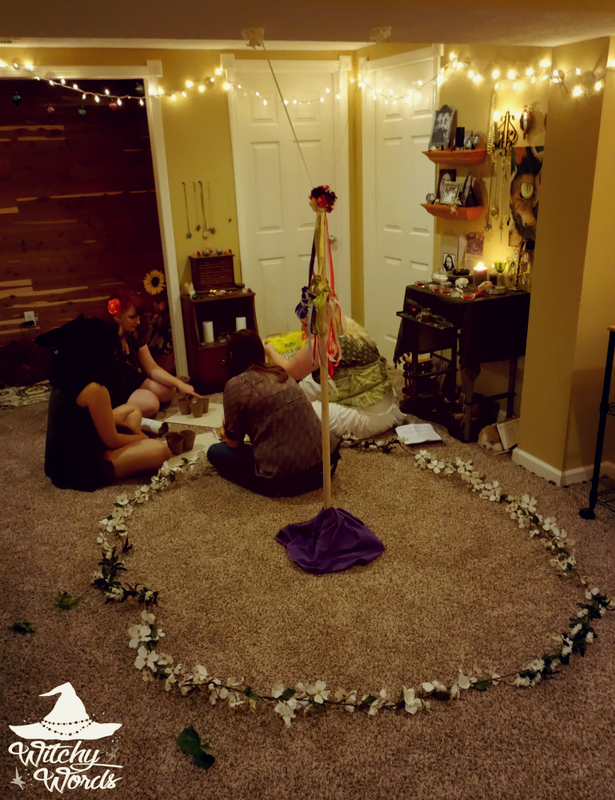 We closed out the circle and headed back upstairs for our sabbat activity! 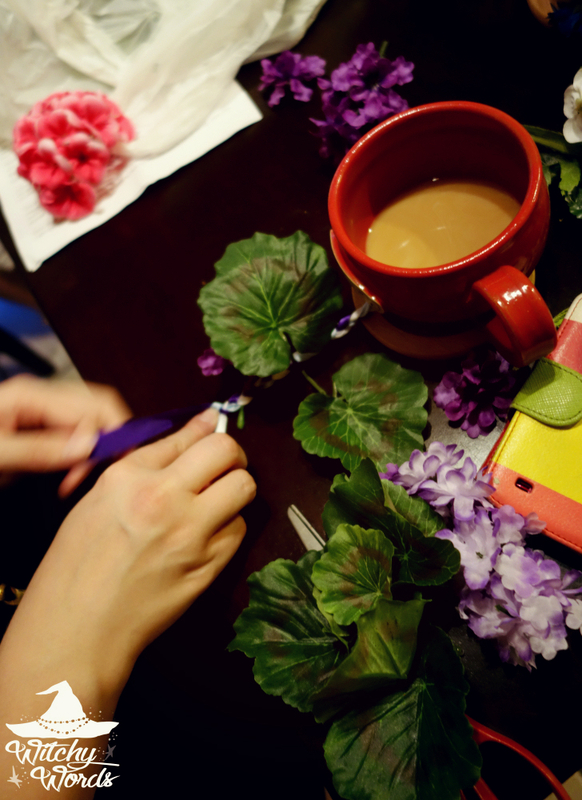 For our activity, Phaedra brought tons of flowers and a large selection of ribbon so we could make fairy braids. The idea was that we chose relevant colors and flowers to draw wishes to us. 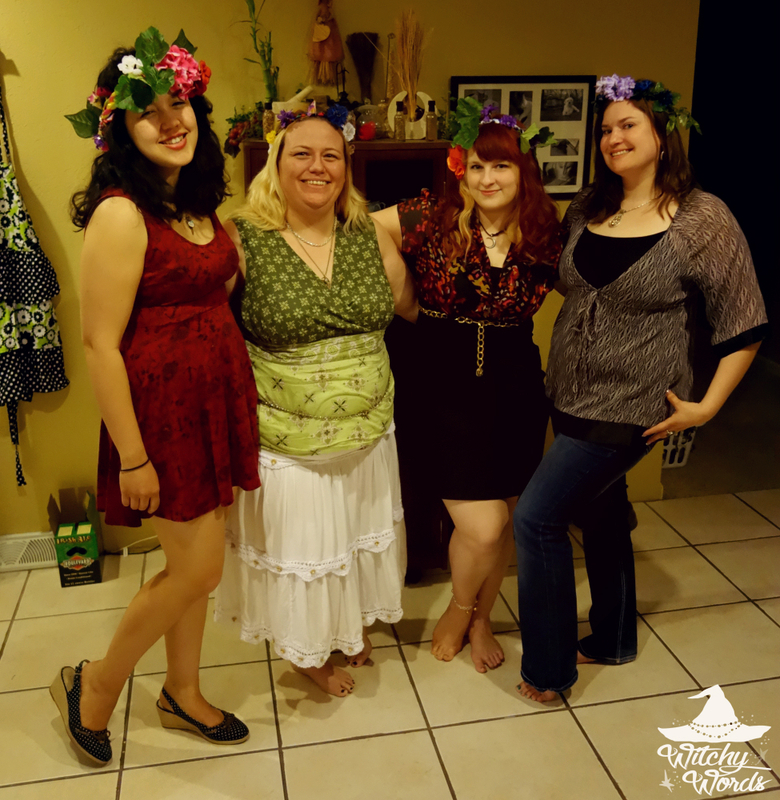 We could wear them in our hair for Beltane, then either hang them in a tree or place them on an altar afterward. And that concludes the Circle of Fountains May Day ritual and celebration for 2015! 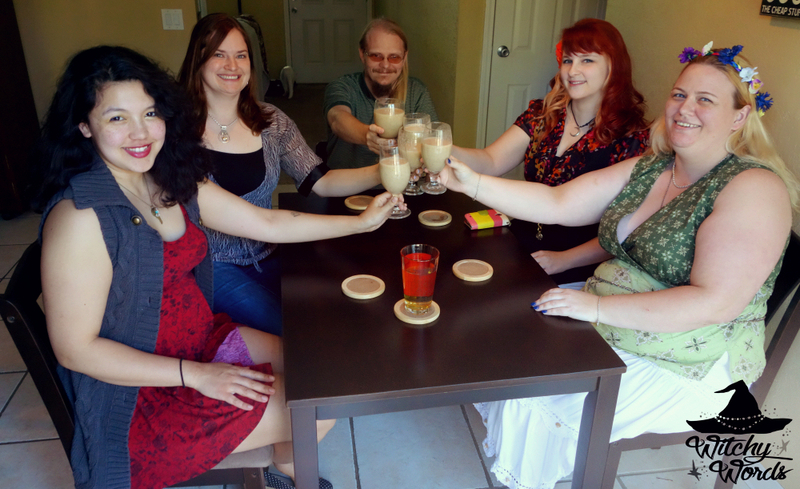 From my inner circle to yours, have a merry Beltane! To see the previous sabbat, the Spring Equinox, click here! For all sabbat-related posts, click here! Thank you for this wonderful post! It looks like a lot of fun! And I'm going to be the weird artist and say: I love your fonts in your pictures!! I don't know where you got it, but it's so pretty! I hope your May Day this Friday is just as fun as your ritual! I also linked you to my blog, so thank you for having this blog! I'm really enjoying everything you've created so far! Thank you so much for your kind comments, Mara! We had a ton of fun. And thank you so much for the link to your blog! I'll check it out shortly. Best of luck to you!